Pay a deposit or pay in full. It's up to you! Choose your payment options below. 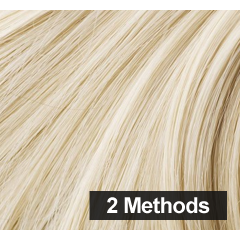 CHOOSE 2 methods FROM: Micro Rings, Nano Rings, Micro Weft, Fusion Bond (glue), Cold Fusion or Shrink Tubes - Just let us know when you book which methods you choose !! Each method of hair extensions can last up to 6 months with the correct maintenance. On this 1 day training you will learn all this and more! From full client consultation, colour matching, placement of extensions to aftercare. You will spend time discussing theory elements to gain a good understanding of how to handle hair, then working on a training head you will move onto the practical & create a full head of hair extensions. There are so many suppliers out there for hair, all varying qualities, not only will we teach you to put them in, we will ensure you leave with a great knowledge of suppliers. On your training day we will have all the tools and equipment needed for you to practice.. BUT IF YOU WANT TO PURCHASE A KIT TO TAKE HOME.. We have a selection of tools available that you can purchase on the day. Our trainers are on hand 7 days a week to offer you support should you need it. On completion of your training you will be issued with a Sure Pass diploma certificate. I learnt so much, Kirsty is a great teacher, explained everything so well it was easy to understand and interesting. I had a really good day. I learnt so much. I could not thank you enough. I am very pleased with the training I had today. Brilliant day. Lovely tutor - Very relaxed but still professional! Good course, learnt what i feel i need to know to start out and gain experience with hair extensions. Really informative course, plenty of feeback and things explained well. Good vibes and passed my courses. I am really pleased thank you for all your help.